If you own or have access to an experimental 2 place “ultralight like” aircraft then we may be able to assist in training. Back in the early 80’s when the ultralight movement was in full swing, the FAA allowed for a “2 place training exemption” for certain types of 2 place ultralights. Keep in mind that by definition, an Ultralight is only one seat. However, the FAA provided this “2 place training exemption” for pilots who would give instruction after receiving a checkout from one of the two major ultralight organizations at the time. As such throughout the 80’s and 90’s there was a well established network of what then existed as UFI’s, BFI’s and AFI’s (Ultralight Flight Instructors, Basic Flight Instructors and Advanced Flight Instructors) all operating under the two place ultralight training exemption. Their planes had no N-number and were not registered with the FAA, though specific paperwork was submitted to make themselves eligible. 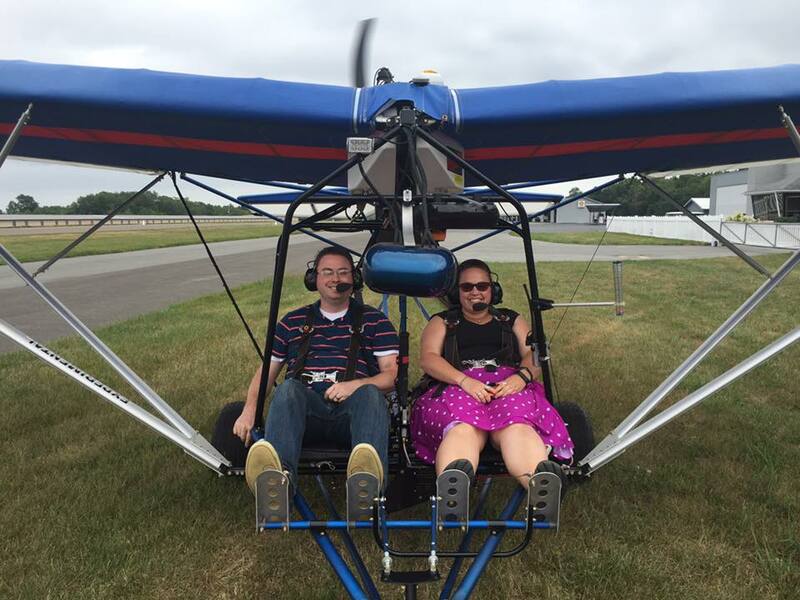 Because ultralights are so simple and our flying is as simple as possible, the instructors did not have to meet the same stringent requirements that standard Certified Flight Instructors (CFI’s) were required to meet. You could become a BFI with as little as 40 hours in an ultralight! These ultralight flight instructors offered rudimentary training programs as that was all you needed. The training was simple and usually took you up to the point of solo with maybe 2 or 3 hours total solo time before you were set loose on the world as an “Ultralight Pilot.” Many people could complete one of these training programs in 10 hours with 15 being considered excessive. It didn’t take 20 – 25 hours as is the case with Sport Pilots nor was it as long as 40 or 60 hours to learn to fly as tends to be the case in a Private Pilot Program. This was also very economical. In the mid-9o’s when I learned to fly, it was common to see ultralight training programs advertised at $500 – $600 for the entire program including all flight time and training materials! Boy was it cheap to learn to fly! Unfortunately, the “2 place training exemption” was abused by far too many pilots. There were hundreds if not more that would apply and receive a “2 place exemption” and operate as a UFI, BFI, or AFI and never give a single hour of flight instruction. Their sole purpose was to give rides to their friends and family. Technically, if their purpose was to just give rides they should have registered their airplane experimental and sought out a regular private pilots license. This was at least the perspective of some within the the FAA and even the EAA. It certainly didn’t help if one of them crashed and made the news with media attention brought onto the issue. In 2004 the FAA introduced the new Sport Pilot/Light Sport Aircraft regulations. It created a new category of pilots and aircraft. Unfortunately, it also opened the door for the demise of ultralight training. Whether it was purposeful or accidental is only speculation. However, the results are obvious. The FAA eliminated the “2 place training exemption” and canceled all authority provided to BFI’s, AFI’s, and UFI’s giving ultralight training. There was a program in place to grandfather those instructors into the Sport Pilot program as official CFI’s, but the real problem was the aircraft. Under the new Light Sport Aircraft Regulations training towards a Sport Pilot certificate could only be given in an S-LSA (Special Light Sport Aicraft) or a certified aircraft that met the weight and speed requirements of light sport aircraft (such as a Cub, Champ, etc..) There were only two exceptions which didn’t apply to many people or aircraft. You could train in an experimental light sport aircraft if you were the owner or part owner. But the flight instructor could not simply own one and provide training for hire. There was also the possibility of these instructors getting a LODA (Letter of Deviation Authority) from the FAA which allowed them to train in their original 2 place ultralight if that plane was previously used for such purposes, and they were previously one of those instructors. Sadly, very few took that route, mainly due to red tape and a lack of information dissemination by the FAA about how to attain one of these LODA’s. As a result it has become near impossible to get training in an ultralight like aircraft as the one pictured above. Training simply isn’t what it used to be, and as a result fewer and fewer people buy, purchase, or get into ultralights. It is my hope that the FAA will change their requirements one day, but for now we have to work with what we have.